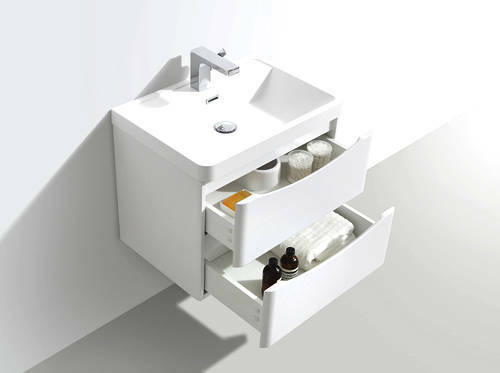 Italia Furniture > Bali Bathroom Furniture Pack 03 (Gloss White). Bali wall mounted bathroom vanity unit in gloss white finish with basin and wall mounted storage unit (pack 03). 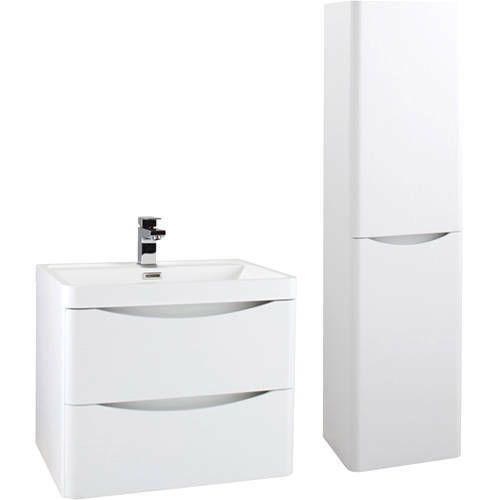 Wall hung vanity unit with drawers. 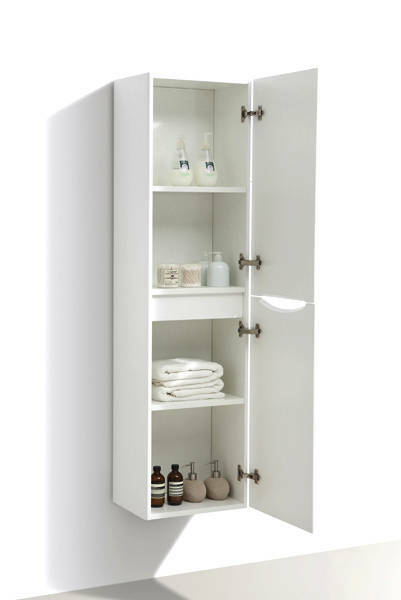 Wall hung storage unit with doors included. Soft close drawers and doors (cushioned silent close). 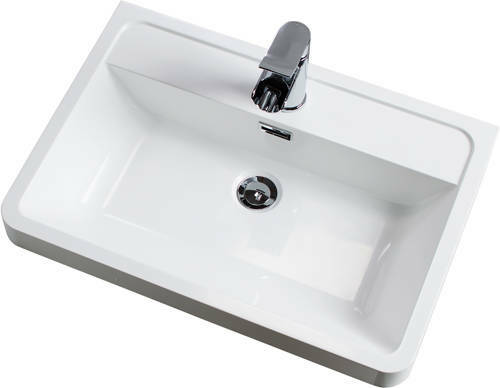 Vanity unit size: 600W x 500H x 420D mm. Storage unit size: 400W x 1500H x 300D mm. Tap and waste are not included (sold separately).